Backyard garden designs have become an extension of living space for Canadian homeowners; adding room for both relaxation and entertainment. While custom decks and multi-tiered patios dot today’s landscapes, to achieve the ultimate in comfort and usability during the hottest time of the day, features such as gazebos and pergolas are being added. To provide a shaded area for your deck or patio without totally blocking out the sun, you might consider incorporating a pergola. These structures or archways are strategically placed to create light refraction through the use of angled wooden rafters, louvers, canopies, trelliswork or plants, and to keep the space below cool and comfortable. Various styles are available from minimalist to elaborate in what is becoming a leading element in outdoor design. Determine your main purpose for adding one. Are your primary concerns shade and privacy? Will it be used for relaxing or entertaining or both? Research designs to blend with your home’s style. Keep in mind that the building materials used will need to be suitable for outdoor use and withstand wind, rain and snow. Consider its location and size—attached or detached, free-standing or tied into your deck or patio. Where it will be situated in relation to the sun? The skilled designers at KP Construction can bring your pergola to life by preparing 3D visualization plans based on your requirements. These realistic layouts will give you an opportunity to make adjustments without costly tear-outs or budget overages. This extension of your home provides an easy transition between the indoors and outdoors. It ties into the house roof and deck to provide architectural continuity and reinforce the structural integrity of the each area. An attached pergola can help shade the main house over doors and windows to make the interior more comfortable too. This is also an extension of your indoor living space but will attached to the side of your home or into your patio with interlocking bases. The posts and beams can be connected to the concrete or attached with oversized stone bases to keep the beams from racking. Without the benefit of support from the main house, a freestanding pergola requires additional framing. Whether it’s situated at ground level over a concrete patio or several steps up as an addition to your deck, the possibilities are endless. This design allows for any number of amenities, such as: a gas fire pit and garden heaters for cool nights, a hot tub built for relaxation or romance, comfortable upholstered furniture for hours of reading and quiet reflection, or a grill and dining area for entertaining family and friends. It can be constructed from wood, metal or a combination of materials. 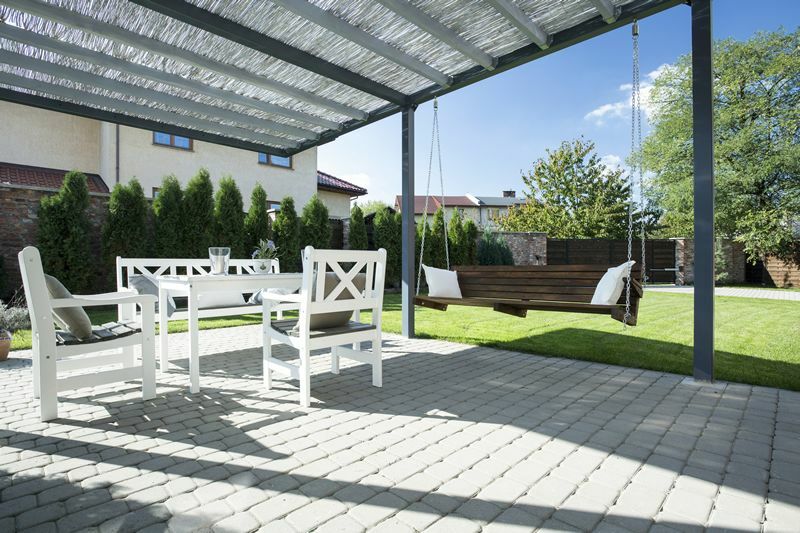 As extra protection from sun and showers, a fabric canopy can be added to the top and sides of the pergola. Each shade canopy typically includes tubular pockets to insert weight rods. These will ensure the canopy will stay in place during windy conditions. This feature operates the canopy by remote control. It offers flexibility and ease of use for total privacy or can be left completely open. Aluminum tracks provide durability combined with smooth operation. It can be run as one continuous canopy or split into sections. Simple, stationary wood louvers are angled to provide shade at varying times of day. More sophisticated motorized louver systems take luxury to a new level and transform the louvered pergola into an enclosed structure. With the touch of a button, aluminum louvers tilt to provide full sunlight, filtered shade or total protection. Several colours are available as well as a solar panel system to save operating costs and the environment. Use a simple, traditional bench swing and pergola made with stained or painted wood posts and louvers to filter the harsh afternoon sun. Imagine a rustic asymmetrical log swing nestled under an unfinished arched arbor pergola. Place it in a garden alongside a pond or water feature to create a natural lodge-style space. Locate it at the front or back entrance to your home, placing double swings on either side plus a walkway between. Everyone visiting your home will feel welcome and anxious to stay awhile. Create a picturesque spot near the pool with a vine-covered arbor pergola and armchair-style swing. Use smooth, painted columns to support the overhead trellis and add elegance to the area. 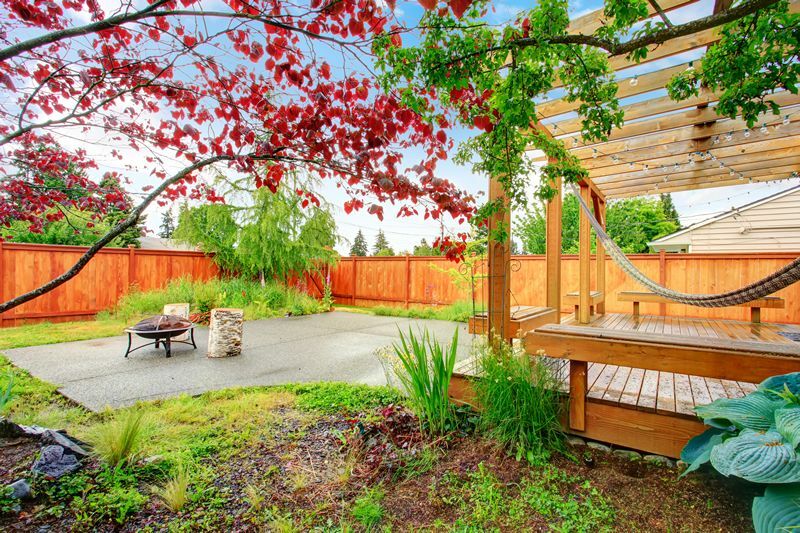 Build an ornate arbor pergola into your eclectic backyard landscape. Surround it with rocks and native plants for a private niche getaway. 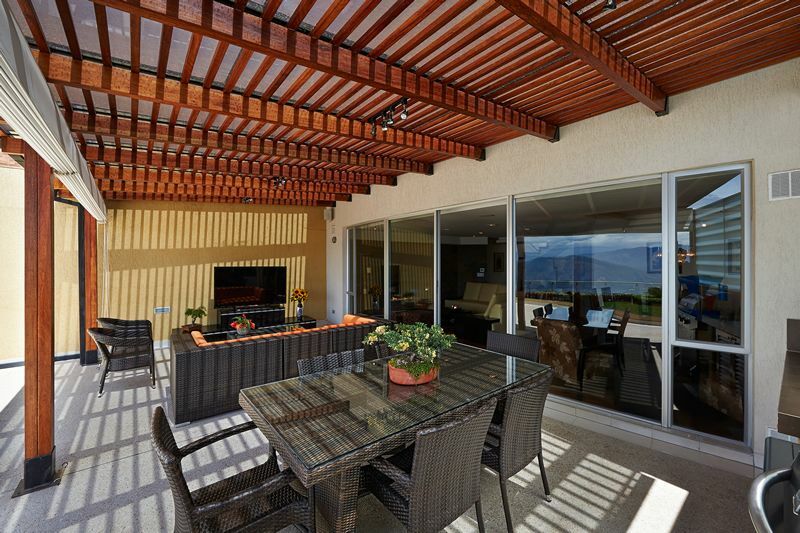 Create more living space with a combination pergola pavilion. Shelter all the amenities you enjoy indoors in an open, yet covered outdoor venue. Include an outdoor kitchen, bar or television. Consider also adding a gas fireplace and comfortable seating. The high roof will provide protection from the elements while the open sidewalls will allow you to enjoy the warm summer breezes. 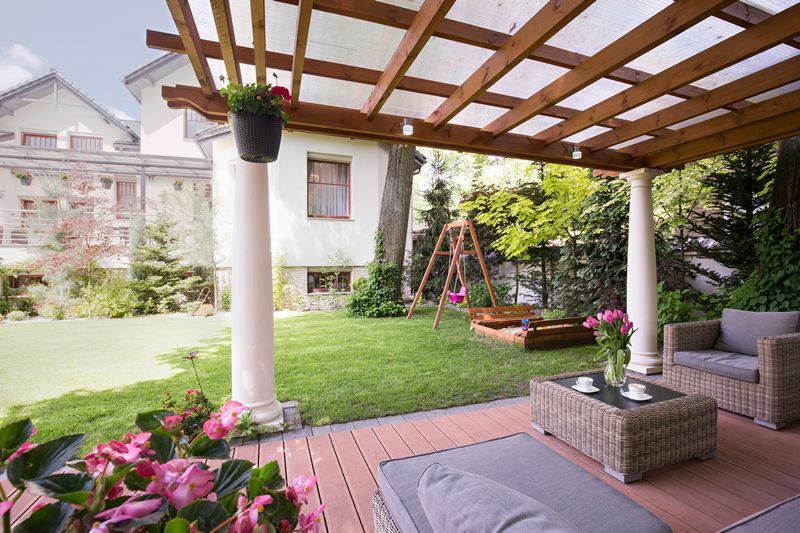 Ideal for a small yard or nook, a triangular or corner pergola fits just about any location. Use it in the corner of a concrete, stone or block patio or provide much-needed shade for the corner of your deck. The unique configuration provides a great opportunity to design fan-shaped roof slats or incorporate decorative metal panels between pergola rafters. 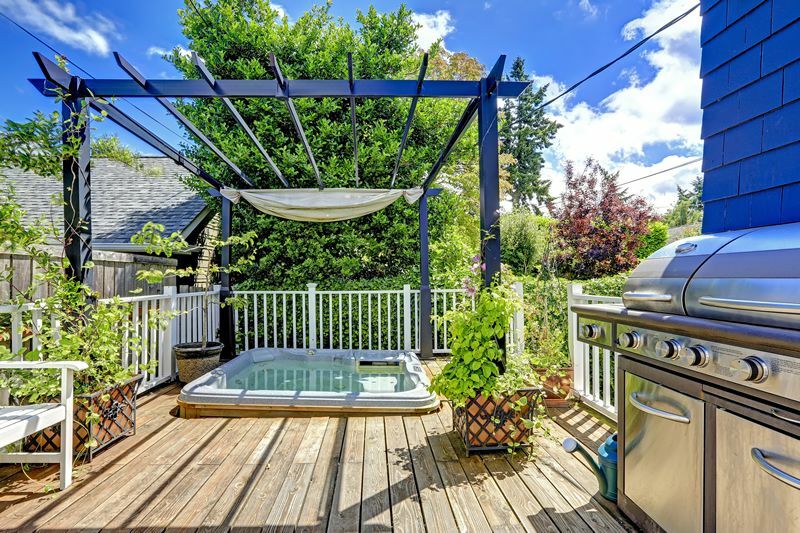 Just because your home is an upper level condo or on the second story of a two-family home, it doesn’t mean you can’t enjoy some privacy or respite from the sun. 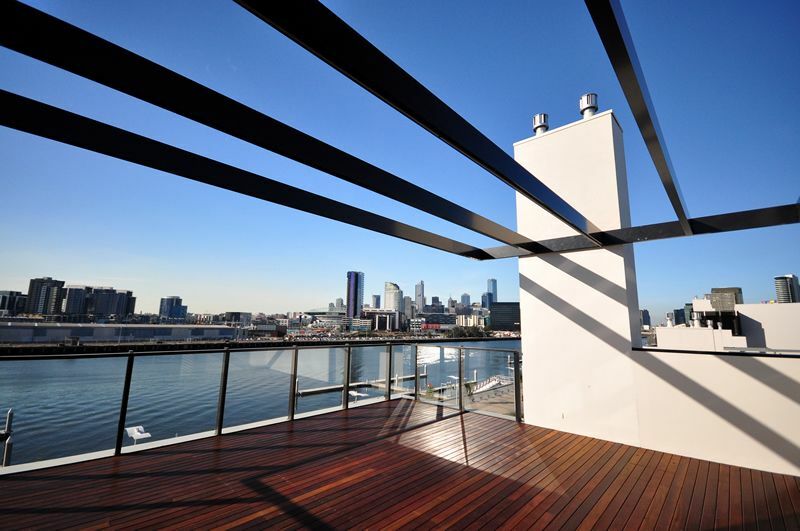 Rooftop pergolas designs provide the same light-filtering properties of their ground-level equivalents. You only need a flat flooring surface as a base and a little imagination to create you rooftop retreat. Add some privacy screens or draperies and a flat garage roof becomes another spot to escape the everyday stresses. Modern gardens and outdoor spaces in both urban and suburban communities require more privacy and screening. The screened pergola helps provide both as well as a contemporary alternative to traditional methods. Trellis fence or screen—can be used as a backdrop or pergola walls to create privacy or screening unsightly objects. Add climbing vines to camouflage while softening the overall appearance. Trellis pergola with gate—this structure can fit perfectly along the side of your home and provide a charming, private pathway to the backyard. The airiness of the trellis allows airflow and light to keep narrow spaces from feeling claustrophobic. Trellised deck—use large-grid panels to wrap the edge of your deck. Built-in benches under the pergola roof will provide a private setting for conversation or relaxation. 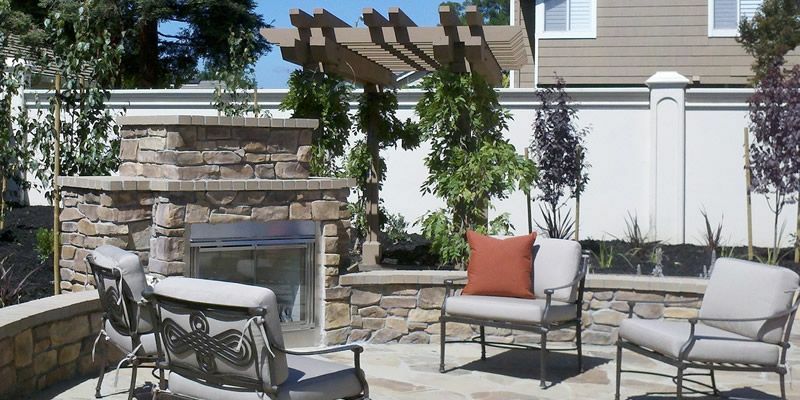 Trellised patio—latticework screening can be used to enclose a freestanding patio pergola to add instant charm. Place a café table and chairs inside to create an intimate spot for two. Pergolas offer many design options, enhance your outdoor space, can support a variety of accessories from lights to speakers, and fit every budget. Use the area to create privacy, relief from mid-day sun, or a cozy gathering place around an evening bonfire. No matter the purpose, your backyard pergola can be the perfect addition to your patio or deck. Are you thinking about your own custom backyard experience? For a highly qualified backyard design expert, custom deck and pergola builder serving Markham, Toronto and GTA, contact KP Construction Custom Decks, and schedule your free consultation today. Our professional team will guide you through all stages of backyard planning, design and building. With our unique and thorough approach 100% peace of mind guaranteed!